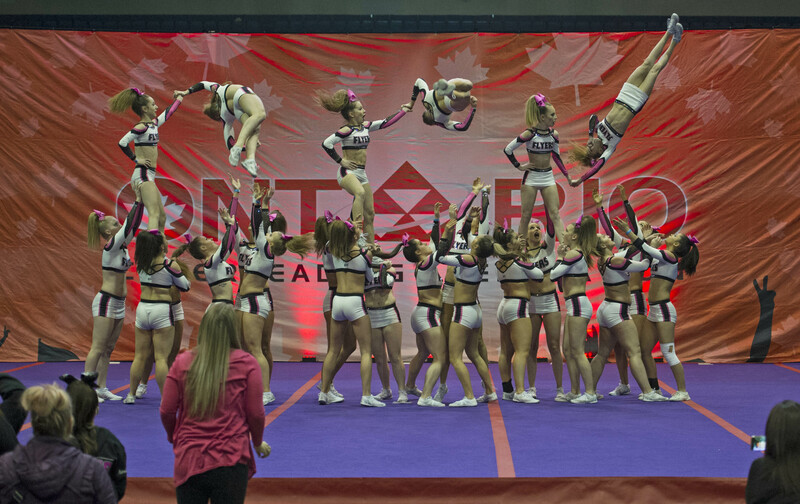 The Cornwall Civic Complex will be full of cheer on Saturday, February 9th as the Ontario Cheerleading Federation hosts its Winter Blast Competition. The day-long event will feature as many as 50 teams and 500 to 600 competitors from across Ontario and Quebec. The higher-level teams (Levels 5 and 6) will be vying for a bid to attend the world championships in Orlando later this year. “It’s another example of just how versatile the Civic Complex is for special events. It also builds on Cornwall’s growing status as a premier location for hosting sporting events and conferences,” said Janice Robinson, Facility Rental Coordinator. Interested residents can take in the sights and sounds of the competition. The event will run from 10 am to 6 pm, with the doors opening at 9 am. Tickets can be purchased at the Civic Complex Box Office (open Monday to Friday, 8:30 am to 4:30 pm). Tickets are $10 for adults and $8.50 for seniors and children (ages 6-12). Tickets can also be purchased online at www.TicketPro.ca (local residents can use the promo code ‘Cornwall’ to access a discounted price). Please note additional service fees apply to online purchases.